How to Sell Designer Earrings - Hundreds of Them! Wouldn't you like to know how to sell designer earrings? Well, Heather Saxon of Hotwired Beads steps up again to show us how. I have just had three of the most amazing incredibly busy weeks that I would like to share with you. What a great start to February! Thanks to my web designer I recently discovered the world of 'daily deals'. Note: The companies listed above offer huge daily deals - usually at 50% off or more - to a huge audience. They send their offers through email to hundreds of thousands of people. After subscribing to cudo.com, I decided to design a product and duly offered the concept for consideration, which to my delight was promptly accepted! As they had not previously offered designer jewellery, it was accepted as a trial run and featured as a side bar offer. It was promoted Australia wide with my offer of FREE postage. benefits to be when you sell designer earrings via these daily deals. Heather Saxon is a jewelry designer, creator and blog writer of hotwiredbeads.com - check it out and a big thanks to her for writing this article! Wire Wire Pants on Fire! 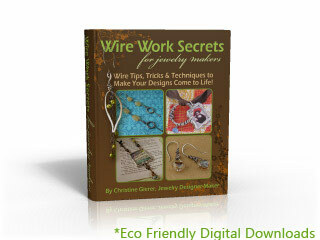 - Check out my Wire Work Secrets e-book! 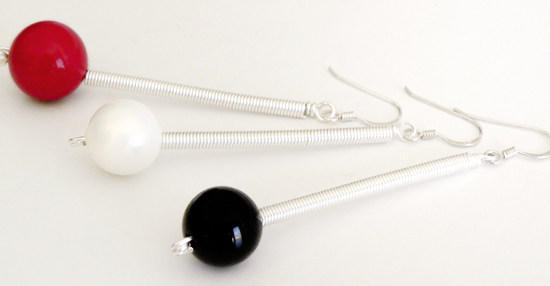 - It's filled with wire tips, tricks, techniques, and troubleshooting solutions for beginner to intermediate jewelry makers.